You cook chicken in many ways. The common ones are smoking and grilling it. Both give the chicken a very delicious taste and aroma which is very different from each other. Some people love smoked chicken while the others love grilled one. Some like both too! I’ll be discussing some methods that can help you get your chicken smoked in the best way. So let us have a look at the secret ways that you can use to smoke your chicken. Top 3 best offset moker 2016 for your needs. Top 3 best propane smoker 2016 for your needs. Now this is an important barbeque essential which you must have whenever you are planning a barbeque. It is equally essential for smoking the chicken as well and the Hickory brand is one of the best options. Tongs are an essential of barbeque but the secret is that the pair must be long and strong so that you not only handle things properly but avoid burning your hand too. StarPack Premium Silicone Kitchen Tongs 2 Pack and Silicone Kitchen Grill BBQ Tongs. 2 Pack are two very good options. 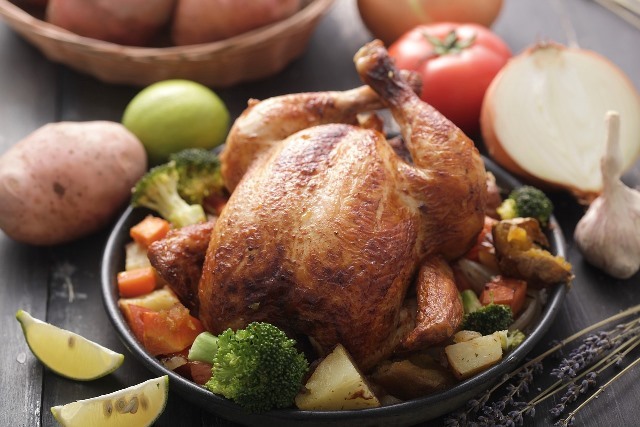 Partially cooked meat will give you a bad experience of having smoked or barbeque chicken so make sure the chicken is cooked completely. The ideal temperature is 74 degree Celsius or 165 degree Fahrenheit. Splash-Proof Super-Fast Thermometer is a fast and professional tool which can be considered for the use. Handling the meat or a whole turkey with tongs will give it indentations. It’s better to hold it them with hands. But beware! Don’t forget to wear insulated gloves in order to save your hands from burning. 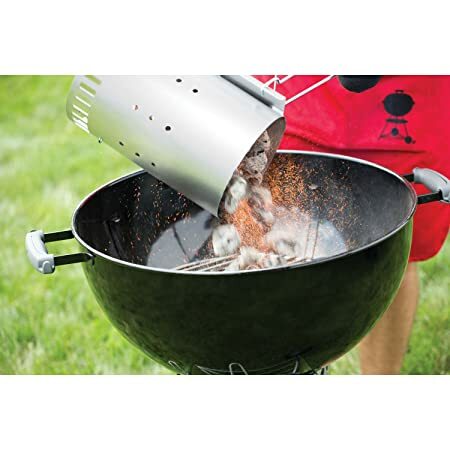 If you have a smoker that uses charcoal, its fine. You know your job and how to maintain the coals for it. Apart from this, the Heat Resistant BBQ, Smoker, Grill, Oven and Cooking Gloves With Textured Palms. 1 pair is also one of the best performers and can be relied on, without any doubt. When the meat is to be barbequed, it requires to be rubbed with spices along with some other fresh ingredients. Smoking a Chicken: Tips for new beginner. This is an amazing recipe to smoke whole chicken. Though it will take some time but consumption of more time will help you get the smoky flavor absorbed into the chicken. As the chicken gets cooked at 225 degrees Fahrenheit so the meat gets cooked at a slow pace. This cooking pace and the time it takes vary depending upon the size of the chicken. A problem which may occur when you smoke your chicken is that it may dry out. In order to avoid it from happening you can inject it or wrap it in a foil. 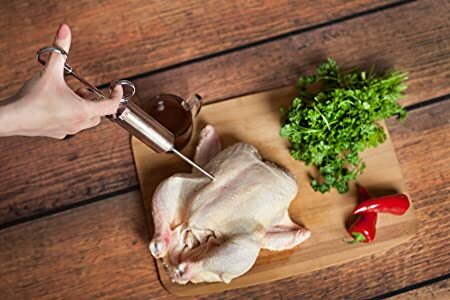 To check whether the chicken is done or not and to avoid further cooking and preventing the chicken from drying out, you can insert an instant thermometer in the center of the chicken and if the thermometer reads between 160 and 165 degree Fahrenheit, the chicken is done. Seasoning the chicken or any other bird that want to smoke is very essential. Even if you are doing it using only salt, it will taste really good. What I suggest is that you should cover the whole area with spices and seasonings in order to get maximum flavor out of your chicken. Seasoning can be used in both dry and liquid forms. Many people are not very expert in cooking and want to follow some specific recipe so here I am providing you a very good recipe that you will not only like in flavor but enjoy cooking it too. Dry wooden chips do not give good results as they burn up quickly and you have to keep a large lot with you. Thus all you have to follow is a simple tip that is; soak the wooden chips in water for a couple of hours. This will facilitate you in making them smokier and long lasting. Keep in mind, not to smoke them for longer than two hours. So let’s come to work now. You will have to light the charcoal almost 30 to 35′ earlier to cooking. This will let them burn up as required. When the color of charcoal turns to ash color from its initial black one, it is the time for you to put your chicken into the smoker. While waiting for the charcoal to be ready, you have to mix all the coating ingredients together. Next, you will have to coat the chicken with this mixture and let it aside. It will remain aside for half hour. As the chicken has skin on it, you need to put the mixture underneath the skin as well. For that, pull the skin apart to make a cavity and dunk in the mixture so that it penetrates deep down into the meet when it is finally done. Next, comes the meat injector. Fill it in with chicken broth and inject this broth in to the chicken’s legs, breast and wings. 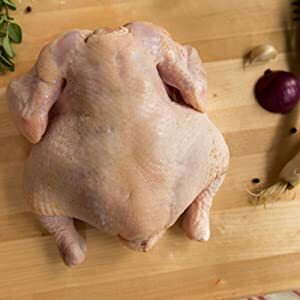 This step is necessary because the chicken will get a long time to be cooked and this step provides it with extra moisture so that it does not get dried out. It is not recommended to place the chicken directly on to the wooden chinks. It is better to first wrap the chunks in the foil and then making holes in to it using a fork. These holes will allow some of the smoke to pass in to the chicken and give it the perfect flavor. These handmade covers for the wooden chunks get disintegrated in couple of hours so you can make more of them if the chicken is to be cooked for more than two hours. How long to smoke a chicken ? You can also place the foil underneath the chicken as well. This will get the extra coating accumulated in the foil and provide you with delicious gravy also. Now is the time to put the chicken inside the smoker. 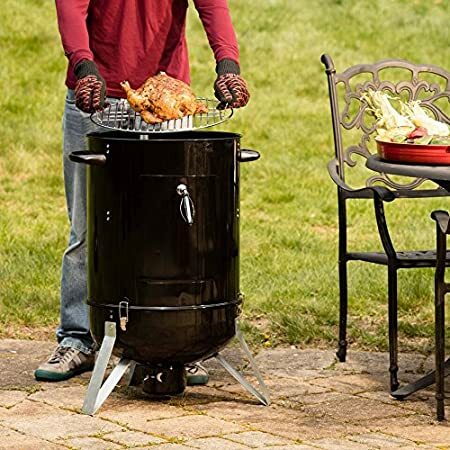 Make proper adjustments so that the smoke can easily escape the smoker but before escaping it should pass over the chicken to leave its flavor inside it. Chicken requires to be checked after every hour. 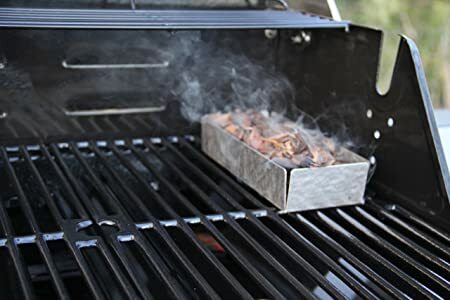 Do not check it very randomly because this will make the heat escape the smoker and result in an increased cooking time. No one wants to wait especially when something delicious is being cooked so you will also not want it to take longer time. Another tip for you is to brush the chicken with butter. Butter will add a roasted texture and taste to chicken and will give it a crisp as well. The last thing that you should know is the time that the chicken will take to be done completely. If one knows in advance that how much time will be taken by the chicken to be completely cooked, then the process becomes very simple. All you have to do is put the chicken in and take out when it is done. But this is not the case. You have to check the chicken now and then. This is because of the reason that cooking time varies from 2 to 5 hours depending on the size of the chicken. Do not open the lid again and again. This will increase the cooking time. 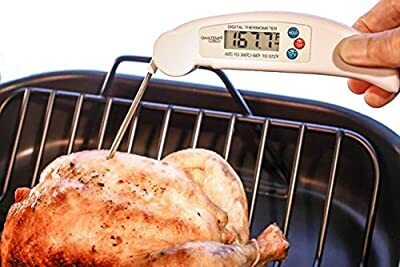 Simply insert the thermometer deep inside the chicken and if it reads about 165 degrees Fahrenheit, you can take it out and serve.